My name is Coach Georgianne Holland, and I also want to feel well! I have packed this 128-page prediabetes workbook and my beautiful 108-page journal (sorry for bragging) with the strategies to change your lifestyle and help you feel well. And then sustain that change. If you’re reading this, you don’t have time to start something that doesn’t work. With the help of these two tools, you’ll make dramatic progress toward wellness. You’ll lose weight, increase your fitness level, and build confidence. Don’t let Prediabetes define you! Take charge of your health! Find the solutions you need, starting now. Many people diagnosed with Prediabetes mean well and try hard to adopt healthy habits–the kind of habits their doctor encourages. Inside every person with a chronic illness is an ambitious goal toward renewed health. Has it been hard for you to find the momentum to stick with new habits? The Solution Starter Prediabetes Workbook is a starting place for everyone who feels the kind of excitement that Solution Starter fan Jennifer in Sylvania, Ohio talks about above. After seeing this workbook, she realized she needed support from other Prediabetes heroes to sustain her efforts toward a solution. Once we believe our health goals will be worth the effort, we feel stronger. After we feel stronger, the dedication that we’re about to invest in ourselves makes sense. That’s when you know you’ve already taken the first successful step. You can use self-care at home to lovingly address the Prediabetes diagnosis you’ve received! May I ask when was the last time you honestly felt self-love? Is that what’s missing from your game plan? If you’re a science geek like me, drop me a note and we can nerd out. The rest of the planet just wants something that works. Your health is important. Self-care and even self-love may be in short supply now. I’m here to promise that those feelings can be the magic in your wellness. I am an educator and coach, fully trained and experienced in teaching the curriculum authorized by the U.S. Centers for Disease Control. Because of this research, we know this program is proven to cut the risk of moving from Prediabetes to Type 2 Diabetes by a whopping 58%. Did you know that the amazing results documented by the CDC and the Diabetes Prevention Program are extremely powerful? In a 2016 study published in Frontiers in Psychology, researchers teach us that when a person simply knows that success is possible using a specific science-backed Plan of Action, their brain and emotions pay attention! This simple knowing fuels their progress. I tell my clients that their Enthusiasm is 90% of their solution! It’s true! Enroll in the Solution Starter Prediabetes Program today! We’ve shared our excitement about my Solution Starter™ Prediabetes Workbook, and now you just need to know about a tool that will make all the difference in your busy lifestyle. You’ve seen it before in many successful programs. The most influential person in your life likely knows this as well. Writing down goals, thoughts, numbers, and progress is what helps successful people achieve. That’s right. New habits can become rock-solid when we have a daily journal to document our plans and actions. Ready? Set…Go! That’s my advice to my VIP clients. One client, a super smart attorney who was a go-to resource in San Francisco, contacted me with worry about her health. Her career was helping women when their lives or businesses fell apart! The problem was, Solution Starter fan Jackie* did not give her lack of self-care or her unbalanced lifestyle much attention until after she learned about Prediabetes. Her comment above about using her Food & Activity Journal as an accountability partner might be the spark you need to get ready to move forward. *Not her real name. What is Special about the Food & Activity Journal? Tracking nutrition and activity is the most effective way to improve your health and reverse Prediabetes. Because of that, my one-month Journal will make that process as easy as possible! Keep it with you wherever you go, and you’ll have a convenient place to quickly jot down the foods you eat and whatever “movement” you add into your day. And take advantage of the motivational Reference pages in each Journal! What is your Healthy Body Love Story? 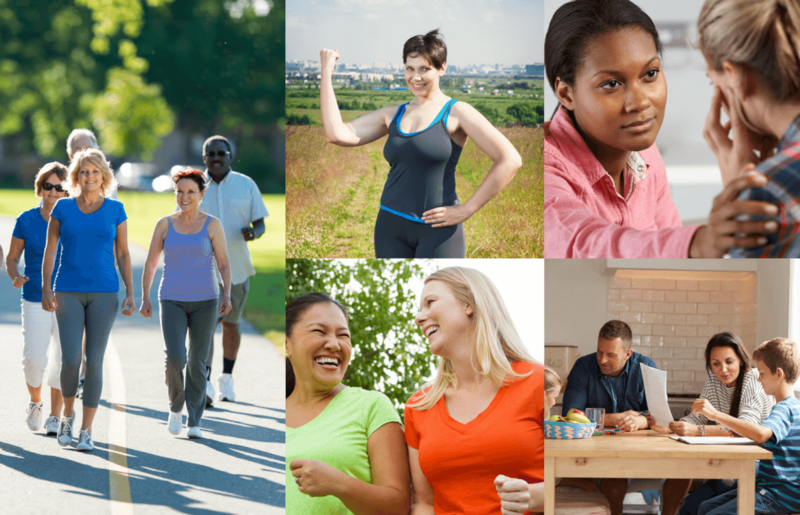 The American epidemic of Prediabetes is solved with self-care and goal achievement at home. Because you want to take action, the diagnosis of Prediabetes doesn’t ruin anything. We can show our bodies great love and compassion. Like those who live life to the fullest, we can take a gentle, determined approach to the daily habits that allow our bodies to be strong, nourished, and free of chronic illness. How will you let the Prediabetes Workbook and Food & Activity Journal become a part of your love story? Before you get busy with the rest of your day, I’d like to share with you some important information in this short video. This is great for Questioners and Science Fans! There’s proven research behind all the guidance within the Prediabetes Workbook and the Food & Activity Journal. You deserve to have real science at your fingertips as you solve your Prediabetes diagnosis! We are saving a seat for you in the Solution Starter™ Prediabetes Program today!